What if I say you can win an award if you do digital transaction after 8th November WHY? Well, I am getting feeling that the way government is promoting to do transactions online and use plastic cards for payment in order to blow the wind in their favor there are chances that we can see any kind of award or tombstone to escalate the process. As CBSE already declared that schools will take fees via online or digital mode from January 2017. Universities and colleges also started their steps towards the cashless society, GTU affiliated VGEC college, started collecting payment of canteen through Paytm and other online portal, Library fees and salary of professors are also made through online transactions. But with the country having a present record of making only 6% transaction cashless, it’s quite a difficult, and the mission of our PM Narendra Modi to give an 180 degree turn around in India will not succeed unless, most of the section don’t get the benefits of making payment through Online Payment gateway integration. With more than 12 lakh schools in India which include rural area school in a majority, schools play as a backbone in the success of this Demonetized revolution. Having an Online Payment gateway integration helps not only making the transaction more simple and cashless, it also useful in terms having the records of the transactions made, on the top of that it help saving time at individual & at organization level also. Operating bodies like NASSCOM, NCR are also working to aware India about the facts & fictions of online payment, they are committing workforce to analyse the online payment methods, technically this is probably the first revolution after independence where every sector of the country from market to mango man is trying to became cashless, although there are some who are against it, because we are world’s largest democratic country and you can’t have all “Yes Man” in that scenario. Educational Organizations are one of the bodies of country implementing this Online Payment Integration in a massive way, turn out to be more than 8 lakh institutes have started making all things cashless by simply integrating their school software with online payment gateway and by strictly not accepting payments in cash. Moreover, this is the sector responsible for building country’s future generation. 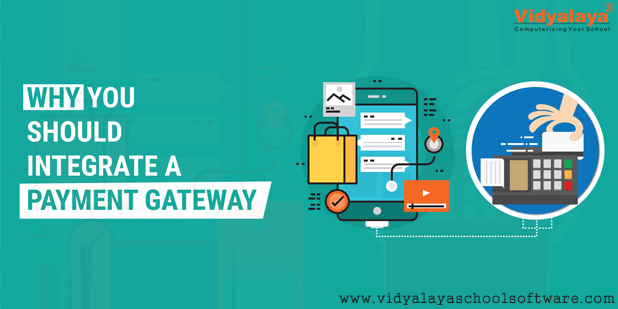 Vidyalaya School Management Software appreciate the steps taken by educational institutes to make things go cashless and willing to provide every kind of technological support to help schools, university, and other institutes.